With a passion to give back to his homeland by helping to educate children his age, Pakistani-American Fez Zafar is aiming to transform lives as he holds a fundraiser at Bergman Academy, a private Des Moines School at just seventeen years of age. Most kids give just a dollar or a spare change, but when a classmate donated a twenty, Zafar intervened. 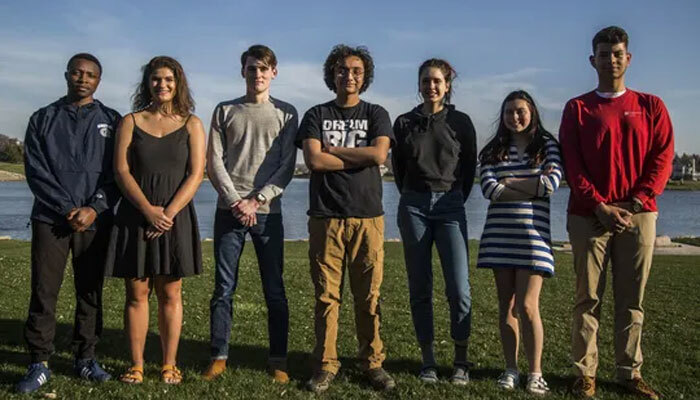 This domino effect propelled the Roosevelt High junior to initiate a non-profit organisation in 2014 called ‘Site for Smiles and Smarts’ to help underprivileged children in Pakistan and in Iowa. Holding a fundraiser as a sixth grader for the first time, the young boy only recently hosted an American Iftar dinner that brought together 18 religions and denominations for a night of cultural exchange and sharing. At such a young age, Zafar has his eyes set on the Democratic presidential run for the youth forum in the run-up to the Iowa Caucuses. So when and how did the idea of giving to children in need strike this young boy? Zafar was only 10 when he watched a documentary with his aunt about Pakistani kids and how they are tricked into extremism. Titled ‘Children of Taliban’, the documentary stuck with Zafar so much so that it inspired him to bring a change in his country of origin by alleviating the lack of education. Zafar found utmost support from his parents Mashal Hussain and Fawad Zafar. They were already exercising humanitarian activities and encouraged Zafar to do the same. "I almost felt like I wanted to join the party," Zafar said. His intense desire of transforming lives has been many a times appraised by many, including Dr Rizwan Shah, a retired physician who teaches the Holy Quran to Zafar every week. The money that Zafar raises goes to helping street children in Islamabad get an education through the Mashal School which was founded by an Iowan who moved back to Pakistan. His philanthropic involvement has only grown with time as Zafar has also donated to a girls’ school in Uganda and a health care organisation in Guatemala. Wanting to help locally, he has donated to the backpack feeding program of the Boys and Girls Club. Eyeing change, Zafar’s non-profit has so far raised more than $150,000, all of which has gone to help educate 600 children, pay for 171 wellness exams and provide 36,000 meals for children. 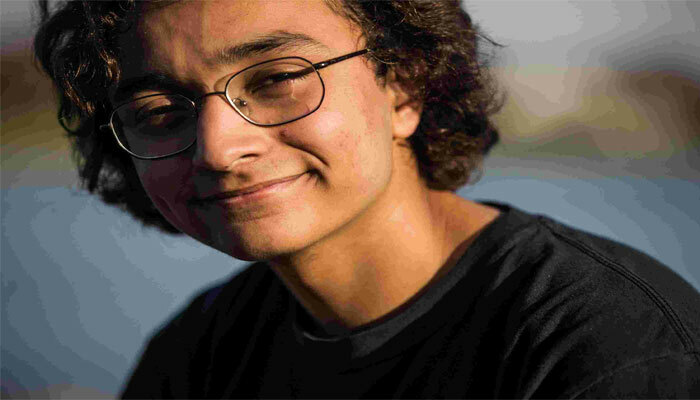 A student of filmmaking, Zafar’s friends have also organised a youth rally for the victims of Parkland shooting massacre against gun violence at the Iowa State Capitol just a few months ago. 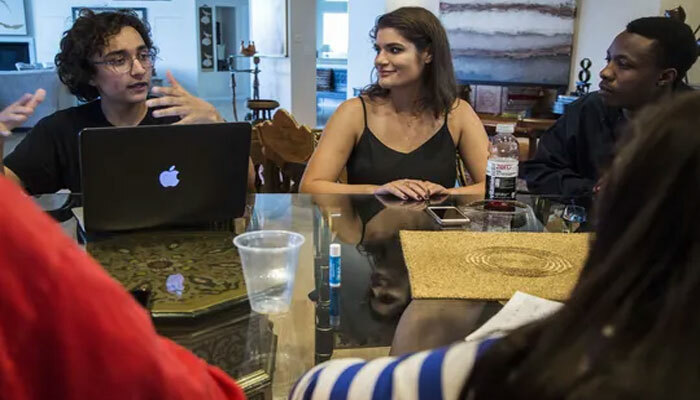 With a clear vision to steer 2019 with two youth-oriented political events and a number of non-profits to his credit, Zafar aims to run for the presidential post from the Democrats’ side in the run-up to the Iowa Caucuses, gathering ample support to turn his dreams into reality.